Patients who take Nesina to treat Type 2 diabetes may face a higher risk of pancreatitis and pancreatic cancer. Nesina lawsuits are also being investigated on behalf of patients who were hospitalized with heart failure while using this incretin mimetic medication. The nationwide law firm of Bernstein Liebhard LLP is now offering free legal reviews to individuals who were diagnosed with pancreatitis, pancreatic cancer or heart failure while using Nesina. The Firm also offers complimentary consultations to those who experienced similar complications while using Kazano or Oseni, Type 2 diabetes drugs that also contain alogliptin. To learn more about filing a Nesina lawsuit, please call (888) 994-5118 to discuss your case with a member of our legal team. Nesina (alogliptin) is an incretin mimetic used in conjunction with diet and exercise to lower blood glucose levels in patients with Type 2 diabetes. The medication slows the inactivation of GLP-1 (glucagon-like peptide-1) and GIP (glucose-dependent insulinotropic peptide). These two incretin hormones play a role in regulating blood sugar. 2011: The journal Gastroenterology published a study which suggested that patients who use incretin mimetics had six times the risk of developing pancreatitis than patients using other diabetes medications. Pancreatitis is an inflammation of the pancreas that can lead to hospitalization and death. 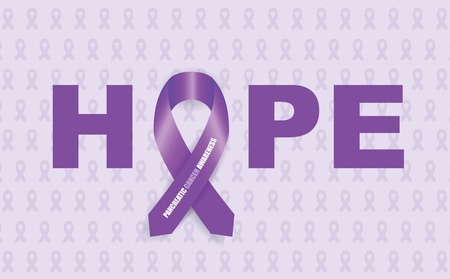 Long-term pancreatitis is also a risk factor for pancreatic cancer. 2013: Johns Hopkins researchers reported that patients taking Type 2 diabetes drugs in the same class with Nesina were twice as likely to suffer from pancreatitis that required hospitalization. 2011: The authors of the Gastroenterology study also concluded that the findings “raised caution about the potential long-term actions of these drugs to promote pancreatic cancer”. They called for more research into the possible connection. 2013: FDA announced that it was investigating the entire incretin mimetics class, after a study discovered inflammation of the pancreas and pre-cancerous cell changes in the pancreatic tissue taken from patients who had used the medications. However, the agency has so far been unable to confirm a link between these drugs and pancreatic cancer. In April 2015, a panel of FDA advisors recommended that new information be added to the Nesina label regarding a possible increased risk of heart failure. The panel based its recommendation on the results of a clinical trial known as EXAMINE. Legal assistance is now available for Nesina patients who have been diagnosed with pancreatitis, pancreatic cancer or heart failure. To learn more, please contact Bernstein Liebhard LLP at (888) 994-5118.